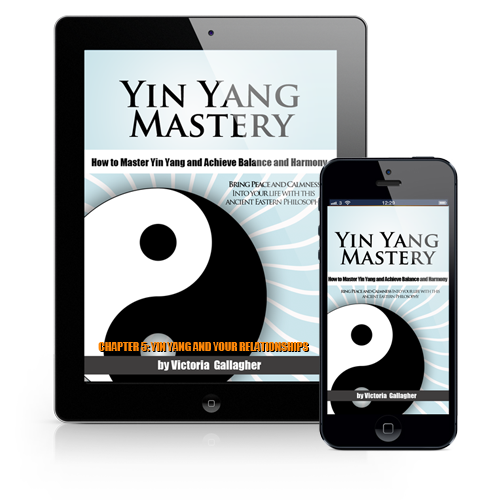 "Discover How To Live In Peace And Harmony In A World Full Of Uncertainty And Dramataically Improve Your Quality of Life Today Through Yin Yang Balance"
Sign up for your Yin Yang Mastery eCourse! 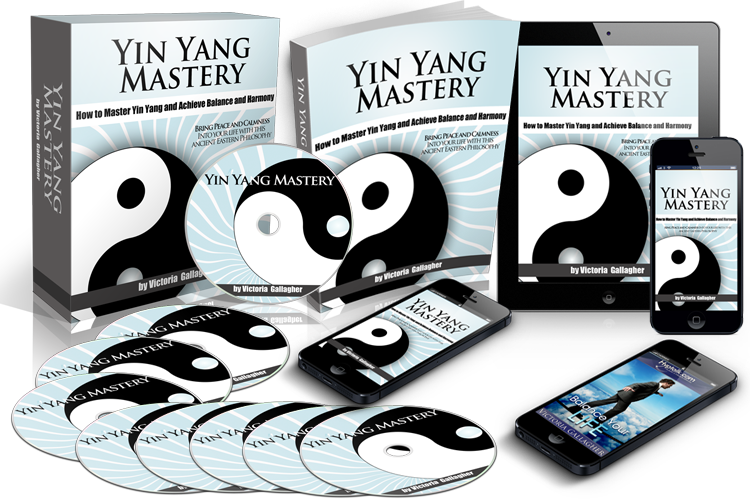 You are seconds away from receiving your “Yin Yang Mastery” copy! Finally You Can Fully Equip Yourself With These "Must Have" Tools For Achieving Peace And Calmness And Live A Life Of Comfort That You Deserve! The art of Yin Yang Balance CAN help you achieve peace and calmness! Feeling helpless and unable to act when it comes to uncertainty. You lack the tools and strategies needed for helping you overcome your troubles and stay calm. You don’t have a proper support system needed to help you deal with your life. Admittedly, Yin Yang Balance is a long and hard process. But with the tools and strategies provided in the guide, freeing yourself will become a much easier process and you will start seeing results fast! Most definitely! 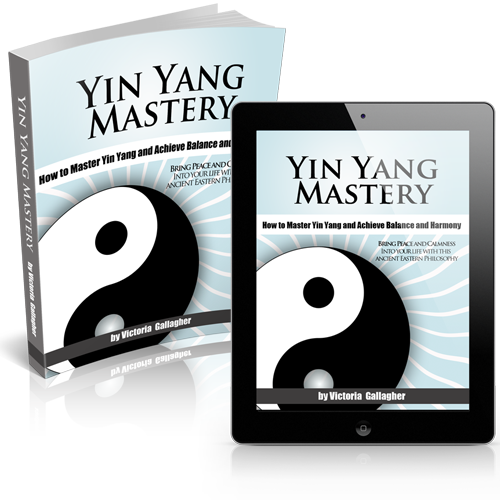 The strategies for Yin Yang Balance have been mapped out clearly in this guide so that anyone – whether a novice or beginner can start using it and achieve results fast! Not only will you be getting this amazing study guide to help you improve your yin yang balance, but you will be getting the material in 7 easy to follow audio lessons to enjoy listening to as well! Have you often heard the phrase Yin and Yang but never quite understood what it meant? Have you been fascinated by the concept of Yin and Yang and have always wanted to learn about it? In this chapter we will go into detail regarding the meaning of Yin and Yang. We will discuss the basic forces that make up Yin and Yang and how these forces are ingrained in Chinese philosophy and culture. Yin and Yang can seem so mysterious, and in this chapter we will unravel some of that mystery. They are the foundation for dark versus light, male versus female, good versus evil. You cannot have one without the other. They balance each other and therefore both sides of these natural forces need to exist simultaneously. In addition to explaining what is involved in each of the Yin and Yang forces, we will also review the concept of Tao. Tao provides a more complex and genuine meaning to Yin and Yang. The concept of Tao goes back centuries and is also ingrained deeply in Chinese philosophy. Although Yin and Yang seem simple, they are in fact very complex subjects and this chapter will give you a deep insight into both forces of energy. Do you frequently hear how it is so important to have balance in your life? That without balance and harmony your life is not as complete as it can or should be? That you would be so much healthier if you lived a balanced and harmonious life? In this chapter we will review the importance of balance and harmony and how it is necessary in everyone’s life. We will discuss how not having balance in your life can affect your physical, mental and spiritual health. We will also discuss ways in which you can bring balance and harmony into your life. No matter how old you are, what profession you are in, what classes in school you take, everyone has pressures that they deal with on a daily basis. Learning to balance those pressures with healthy life choices is key to bringing stability into your life. When you are able to have a more stable existence, you will be living a life of balance and harmony. Some choices you will have to make to achieve balance and harmony may not seem easy for you, but think of the amazing benefits you can realize by making these life changes. In this chapter we will review how Yin and Yang affects your physical body. Since Yin and Yang are forces of energy they directly affect the energy that flows through you, which is your Chi. We will go into detail explaining what Chi is and methods you can use to benefit from both Yin and Yang. As we discussed earlier, you want to achieve harmony in every aspect of your life. Only then will the forces of Yin and Yang be in balance for you. We will provide you with ways to get in touch with your Chi so that you can better understand it. When you take the time to experience your Chi you will find that you have a better understanding of yourself. When you have a better understanding of yourself, you will be able to make those life choices that will balance the forces of Yin and Yang and you will have a more harmonious existence. Having a better understanding of yourself will also provide you with a better understanding of the universe. You will have a deeper grasp of how the forces of Yin and Yang affect the universe as well as your place in the universe. Did you know that the core philosophy of Yin and Yang lends itself to healing? This chapter will explain the relationship between Yin and Yang and healing. Throughout history, Chinese medicine has applied the philosophies of Yin and Yang in their healing methods. When your body is out of balance, you can become physically or mentally ill. We will discuss the states of imbalance and how it is possible to treat those states and bring the body once again into balance. We will also examine the various pathogenic factors and how they can be used to assist in diagnosis. Being able to understand these factors and the causes of them, will help determine the best course of treatment. When you can understand what is causing the imbalance, you can then bring the body back into balance. We will also go over ways in which you can use the forces of Yin and Yang to heal yourself and to bring your body back into balance. There are ways that you can easily implement into your daily life routine that will provide you with balance. By implementing these methods you will soon see a difference in your overall physical health. Have you ever heard the saying opposites attract? The philosophy of Yin and Yang advises that often times opposites do indeed attract. In this chapter we will discuss why people are attracted to those that have different or opposite qualities than they have. We will also review why this instinctive behavior occurs and how it can benefit your relationships. Understanding what your strengths and personality are will help you determine whether Yin or Yang is the superior force in your life. You will then be able to understand what you need in a relationship to balance this force and make you and your partner more complete. In this chapter we will also go into detail regarding the different types of Yin and Yang relationships and how these two forces complement each other. You will be able to find the similarities that your relationship has with those outlined in this chapter. As we have been stating throughout this book, the more you understand the affect the forces of Yin and Yang have on you, the easier it will become for you to have balance and harmony, and this includes your relationships as well. Most people probably understand that there is a connection between Yin and Yang and their spiritual selves. They understand that there are positive and negative forces that affect their lives. In this chapter we will go into detail regarding how much affect Yin and Yang do have on your spiritual self and ways in which you can benefit from this knowledge. We will also discuss the importance of setting aside time for meditation so that you can give your spiritual self the nourishment it needs to stay healthy and vibrant. It does not take hours of meditation on a daily basis to maintain your spiritual health, but it is important that you do take some time out of your busy day to stop and relax so that your spiritual self can remain healthy. By learning to connect to the Yin and Yang aspects of your life and how they affect you spiritually, you can then take the steps necessary to bring balance to your spiritual self. You know your place in the universe and you accept it. When you have this balance, you will find that you are so much more tranquil and serene. Have you ever considered the role the forces of Yin and Yang have over your goals? Did you know that you could use the forces of Yin and Yang to help you achieve your goals? In this chapter we will review ways in which you can use Yin and Yang to help you determine which goals are best for you and how you can go about achieving them. We will provide you with a list of questions that will help you identify your short and long term goals. It could be that you never put much thought into them before, but with the understanding of Yin and Yang that you have acquired through this book, you will be able to utilize Yin and Yang to achieve the goals that you set for yourself. By evaluating these questions, you will gain insight into yourself and how you think and perceive yourself. This insight will help you establish goals. You will understand that there are practical ways you can accomplish your goals. As you start achieving your goals, you will have an increase sense of accomplishment. This feeling will help you maintain the balance and harmony in your life. Did you know that you could also use the forces of Yin and Yan to improve your financial health? There are so many ways you can include the forces of Yin and Yang in your everyday life. This also involves how you can use Yin and Yang to improve your financial situation. In this chapter we will review ways in which you can incorporate the philosophy of Yin and Yang so that you can improve your financial situation. It is not difficult to do. It is a matter of making choices so that you can maintain a healthy financial balance in your life. Most people have financial ups and downs throughout their lives. Being able implement the concept and philosophy of Yin and Yang will help you make financial decisions that will benefit you in both the short and long term. When you can bring the financial aspect of your life into balance, it is easier for you to bring the rest of your life into balance. Not having the stress of financial worry will help you maintain that beneficial balance between Yin and Yang. The important thing to realize is that you can have balance throughout all aspects of your life, it is up to you and the decisions you make. In this chapter we will discuss the relationship between Yin and Yang and Feng Shui. Feng Shui involves balancing the energy of a given space. Therefore, the forces of Yin and Yang play a key role in Feng Shui. Included in this chapter are the ways that the five elements are incorporated into Feng Shui. Each element is just as important as the next. We will also provide you with a list of ways that you can utilize Feng Shui in your everyday life, including all of the rooms in your home. By also applying the philosophy of Feng Shui into your life, you will improve the overall balance and harmony of your existence. Having your physical space set up in such a way as to keep the forces of Yin and Yang in balance, will also help you maintain balance in your physical, spiritual and mental self. You have nothing to lose by applying the concept and philosophy of Feng Shui into your home. It is not harmful at all. However, it can benefit you greatly when you allow the forces of Yin and Yang to flow in balance throughout your living space. Are there times that you feel that your life is out of control, with different aspects pulling you in different directions? You do have the ability to bring balance to your life. You have the ability to give attention, love, focus and energy to all aspects of your life. This hypnosis program will give you the tools and show you the way that will allow you to devote your attention to all parts of your life. It is possible to have balance between your personal and work life as well. Others have been able to do it and so can you. 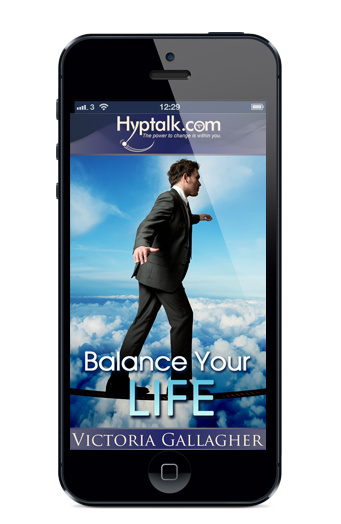 Listening to this hypnosis program daily will allow you to fix the imbalance that you currently experience in your life. Think of how much stress you will remove from your day to day activities once you have balance in your life. You will find joy in every aspect of your existence. Through hypnosis you will make a habit out of staying balanced between all facets of your life. This will provide you with happiness and contentment and your general outlook on life will be more positive. This change will have a profound impact on your mental and emotional health. There is nothing stopping you from having balance in your life. You can do it all and this hypnosis program will put you on that path. Victoria showed me my four selves; Emotional Self, Mental Self, Physical Self, Spiritual Self. She explains how I need to bring balance in all four selves to truly live my potential. She helped me realize that all my selves are interconnected. All the parts of myself deserves equal attention. I need balance! I now realized that I give the least attention to my emotional self. Its the part of myself that needs to have more attention. to achieving peace and calmness because the value it provides is literally mind blowing! After reading and applying the methods in this book, if you do not radically improve your Yin Yang Balance, or if for any reason you are not satisfied with anything this book teaches, please contact us and we’ll issue a full refund immediately. No questions asked, no hard feelings. NEW YEARS WEEK - $7! P.P.S If you’re sick of others telling you that you can’t succeed in Yin Yang Balance, It’s high time you showed them whose boss!